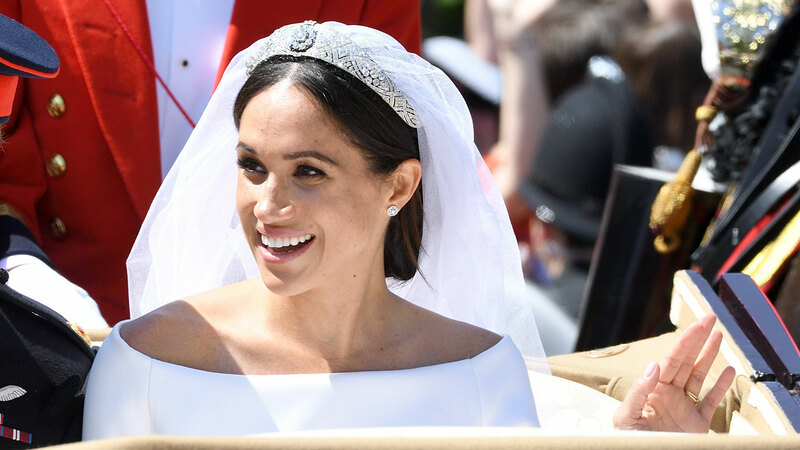 Even though we haven’t quite finished basking in the glow of the royal wedding, there’s already something else for us to admire about Meghan Markle, now the Duchess of Sussex: her amazing new royal bio. Sure, she says great things like, “I’m proud to be a woman and a feminist,” but the Duchess of Sussex’s activism doesn’t stop there — she is also a vocal proponent of menstrual equity. So, yes, periods made it onto the royal family’s website, and the world is a better place because of it. Meghan’s page describes how she successfully campaigned for a dishwashing soap company to change the sexist language used in their television commercials when she was 11 years old as well as her work in soup kitchens and as a global ambassador for World Vision. It was because of her position with World Vision that Meghan visited India to raise awareness of girls’ lack of access to education. “In the slum communities of Mumbai, The Duchess witnessed the work of the Myna Mahila Foundation who empower women through access to menstrual hygiene products and employment opportunities,” her page reads. She was so struck by the efforts of the organization that it is one of the charities chosen by her and Prince Harry to benefit from charitable donations made for the royal wedding in lieu of people sending them gifts. So, to recap: Because of Meghan, some of the presents for the royal wedding were period products for other people. That is pretty amazing. Not only that, but following her trip to India, Meghan wrote an article for Time highlighting the period stigma and its long-term impact on the education of people who menstruate. Yes, periods have been coming out of the shadows in recent years, and that has been movement in the right direction, but having an actual member of the royal family advocating for menstrual equity brings a whole other level of awareness. For this and everything else you’re doing to shake things up, thank you, Duchess Meghan!